The people at Division 6 have begun selling Midify, a board that add a MIDI port to an DS and many other Nintendo handhelds. The board has 12 outputs, plus two for power and two for the MIDI port. Configuration and mapping are also very simple. 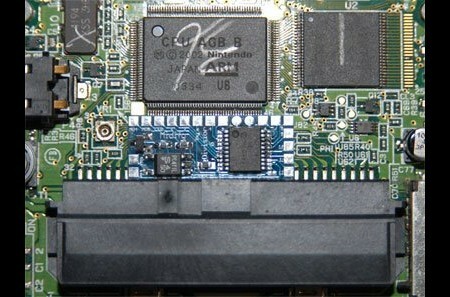 This is the same board that was used to add MIDI control to a microwave. That microwave hack was the most useless and entertaining hack yet. That’s what I come here for, thanks. no hack here. this is just a commercial link. the second link is a youtube video. radiona.org has updated details to ulx3s . radiona.org has updated the project titled ulx3s .